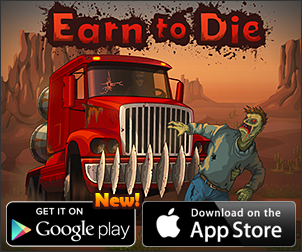 If you are experiencing any trouble or have encountered any potential errors or bugs in Earn to Die or in Earn to Die HD, please feel free to email us at [email protected] and we'll try to assist you as soon as possible. This page will be populated with a list of commonly asked questions post-launch. Copyright 2005-2012 Not Doppler unless stated otherwise. All external pages linked to by Not Doppler are Copyright their respective owners.